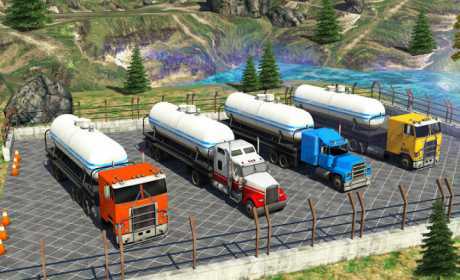 Oil Tanker Truck Simulator – Hill Climb Driving is driving simulation game which requires you to drive heavy duty trucks on all kinds of terrains to deliver precious oil resources to different oil reserves. These roads will test your driving capability and will also enable you to increase your skill and experience on the road. You have to drive these super huge trucks on dangerous roads in the mountains where even one mistake could lead to fatal consequences but don’t worry this is just a driving game. Remember to keep an eye on the fuel gauge so that you don’t run out of fuel. Do not crash the vehicle because you are delivering flammable liquids. This simulation game will give you the first class realistic truck driving game experience because this is one of the best truck driving games. Please feel free to suggest us any improvements that could help us make the game better. Thank You!